The GWT415 is a four wheel, turn table trailer with a towing or manual manoeuvring facility fitted as standard. The trailer has a carrying capacity of 760kg. 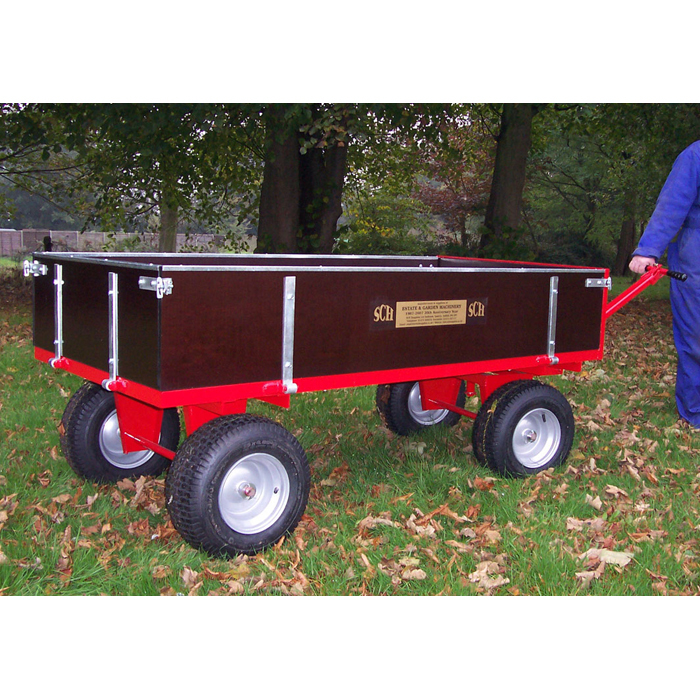 The sides and tailgate are hinged and can be removed to make a platform trailer. The wide profile wheels are fitted with bearings as standard. Extension sides can be fitted to the trailer. Hinged Sides 300mm / 12"
Width of Body 915mm / 36"
Length of Body 1800mm / 72"